The impossible task was dethroning Mission: Impossible-Fallout in its second weekend. 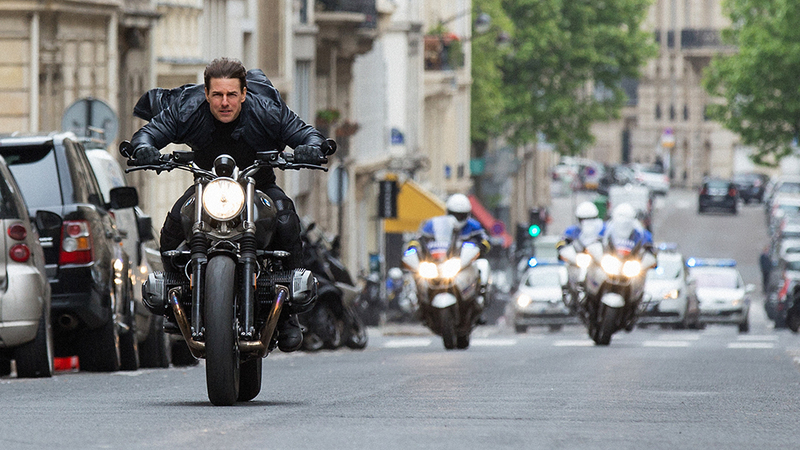 The sixth film in Tom Cruise's two-decade old franchise dropped just 42% for $35M and $124M domestic. That was enough to beat out Disney's Christopher Robin and a substantial group of new releases. These are tremendous numbers for what is the last huge blockbuster film of the summer, which many are calling one of the best pure action movies in years. Worldwide the film has $329.4M, still a ways off from the $694M high of Mission: Impossible-Ghost Protocol, but not out of the question. Oh bother. Disney's Christopher Robin opened with $25M, which isn't bad but won't send execs bouncing into the air with glee like Tigger. The film stars Ewan McGregor as an adult Christopher Robin, surrounded by CGI versions of Winnie the Pooh and his pals from the Hundred Acre Wood. Reviews for the film have been solid with critics, although audiences have given it an 'A' Cinemascore, so there's potential for this to have a good, long run. It might need one, because the $75M-budgeted drama has dubious prospects overseas, especially with Communist leader Xi Jinping refusing to allow it to play in China. The Mila Kunis and Kate McKinnon action-comedy The Spy Who Dumped Me, got dumped itself with just $12.3M. That's not a good number, and if I'm being frank, disappointing box office seems to follow Kate McKinnon around. In my review of the film I wondered why she hasn't been given a starring vehicle of her own, and perhaps I have my answer. That said, she was still the best part of this very action-heavy film, even overshadowing Kunis who is the actual lead. I expected better, if only because last year's R-rated action-comedy The Hitman's Bodyguard did so well and I thought, well hoped, to see an equal reaction from audiences. That was probably silly of me. Any hope of The Darkest Minds launching the next (first?) YA superhero franchise have probably been dashed. The film opened with a mere $5.8M, a woeful number and another sign how far the YA genre has fallen. While I thought it was pretty good overall, it's tough to escape how familiar it looks to every Hunger Games knockoff out there, and trailers couldn't hide it. A shame, because making her live-action directing debut was Kung Fu Panda 2's Jennifer Yuh Nelson, one of only two women of color to command a $100M+ film, the ohter being Ava Duvernay. Along with star Amandla Stenberg, there's great diversity behind all of this and it's sad to see it fail. There's hope international box office can save the day, but I wouldn't hold my breath.